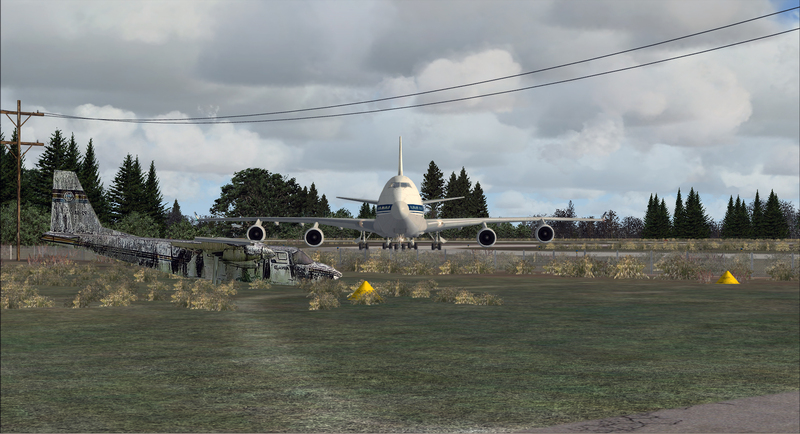 If you previously purchased PACIFIC ISLANDS SIMULATION - INGALLS FIELD (KHSP) at simMarket, you are entitled to the special upgrade price of EUR 17.00 only. 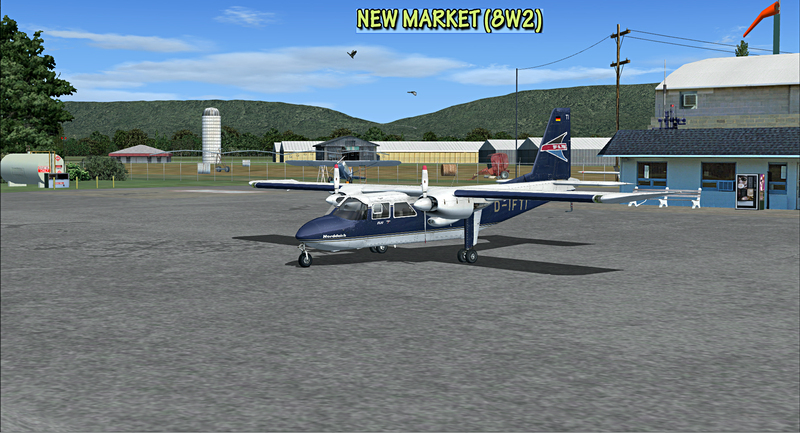 NOTE: The special upgrade price will be awarded automatically, therefore you must be logged into your same account used to purchase the previous version! 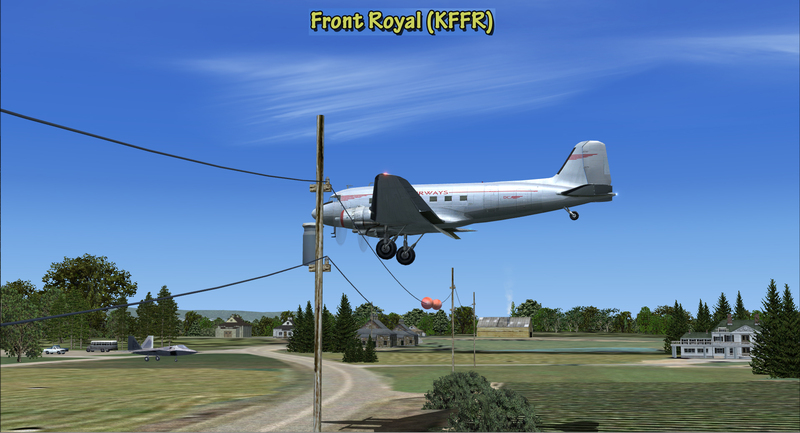 If in doubt contact simMarket support first! 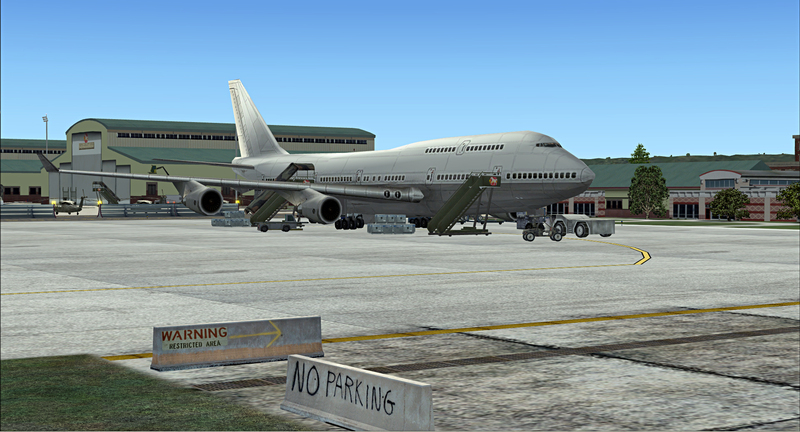 NO REFUNDS GIVEN! 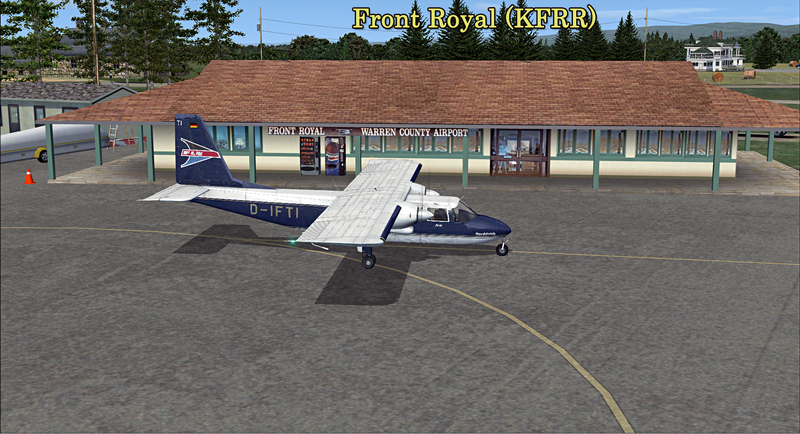 VFR Appalachia is first in our series of highly detailed east coast USA airports meant for pilots who prefer to fly the mid-Atlantic region. 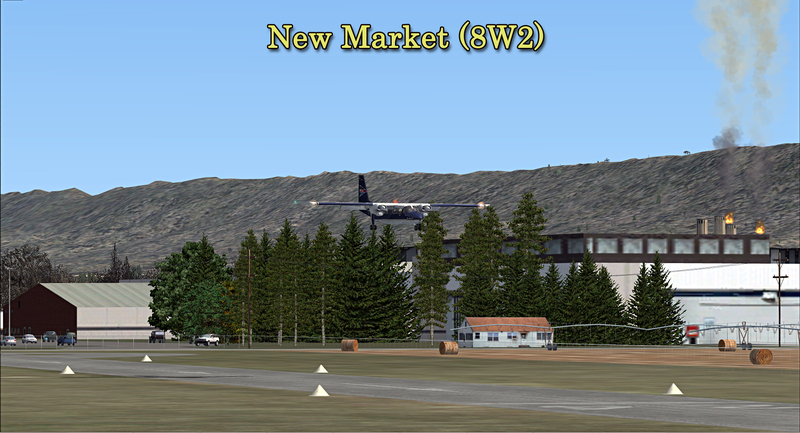 As the product title suggests, our aim was to recreate real-world airports in FSX for those who prefer low and slow short hops between airports. 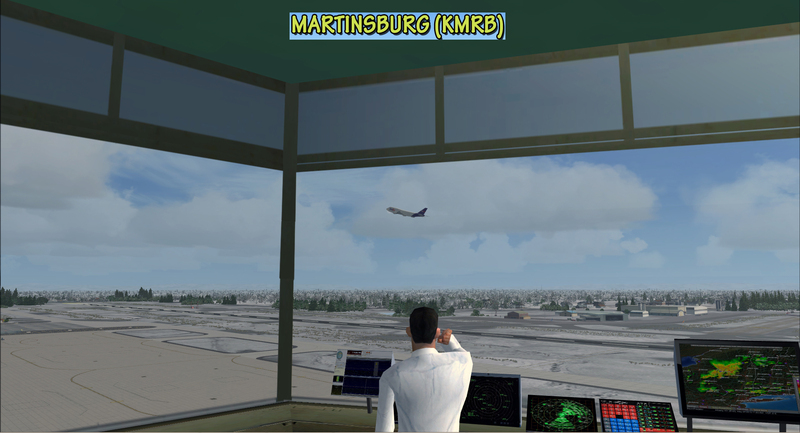 The eight airports in this series were developed from our on-site visits and birds-eye-view shots from our pilot - Jay, so what is rendered in FSX is what was captured realistically from real-world. 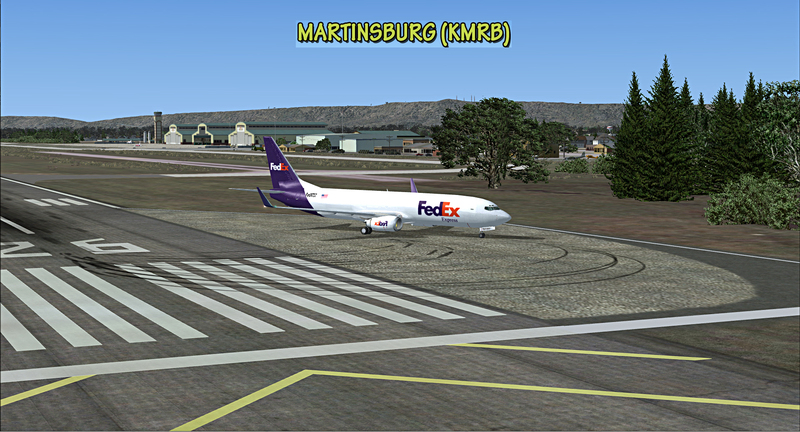 Except for Eastern West Virginia Regional Airport (KMRB) which has a newly commissioned 9000ft runway and military apron/tarmac area, all others have anywhere from 2600 to over 5,600ft runways capable of handling sport and light singles to medium multiengine aircraft. 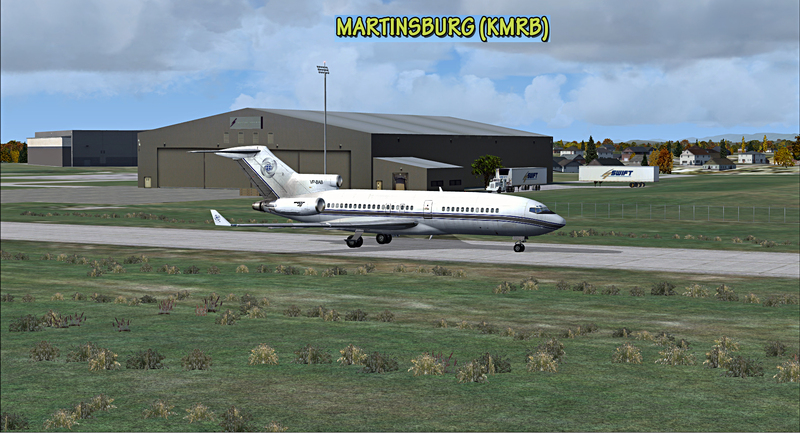 From the eight, three airports - WV31, MD99, and 7SP - are either decommissioned or are in the process of being decommissioned for some reason or other. 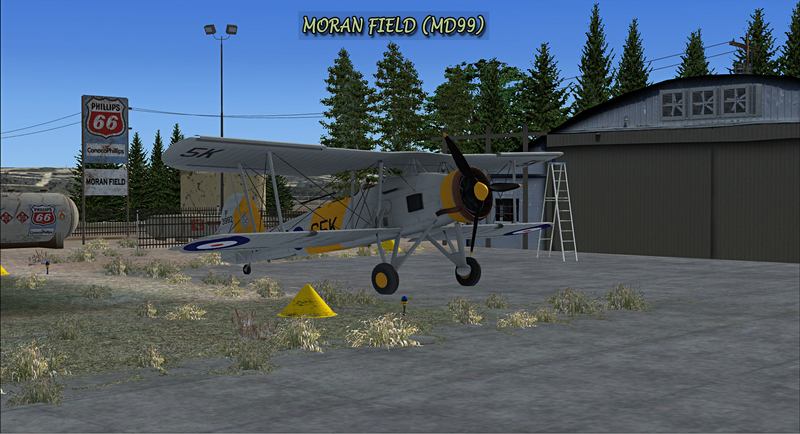 WV31 for example, does not exist anymore, however the field's outline can still be seen from Google satellite pictures. 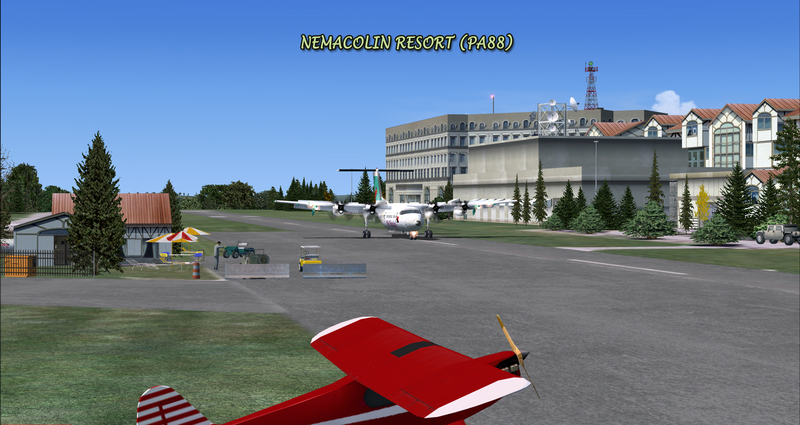 Although the three airports are non-active in the real-world, we thought it prudent to reflect them, not only for tribute sake, but for their distinct locations and peculiar challenges they present. 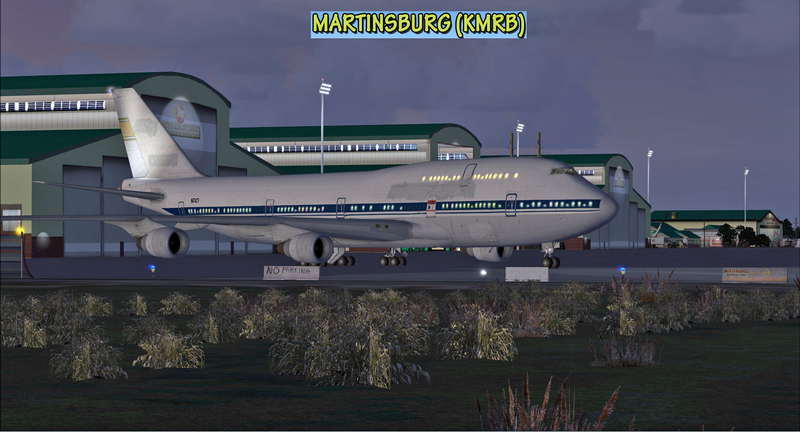 MD99 and 7SP are renowned for stiff wind gusts, unpredictable cross-wind deviations and sporadic microburst because both are located on plateaus at over 2000ft. 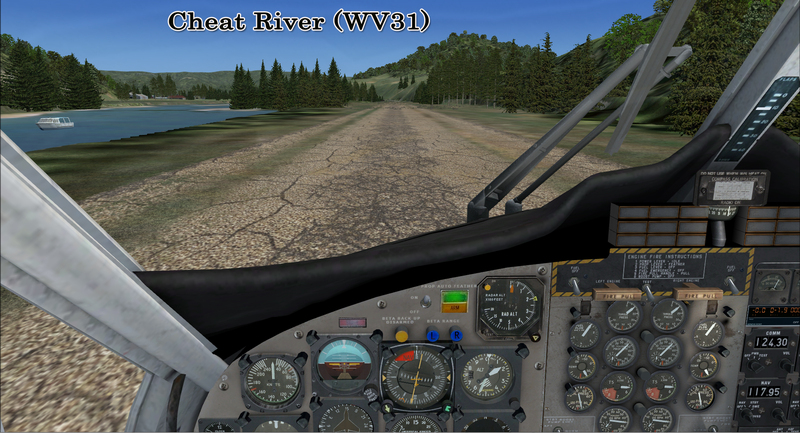 WV31 on the other hand, has challenging approaches from either airport runway directions due to mountain ranges and hills on both sides of approach, including man-made obstacles, which keeps the pilot extraordinarily vigilant during approach. 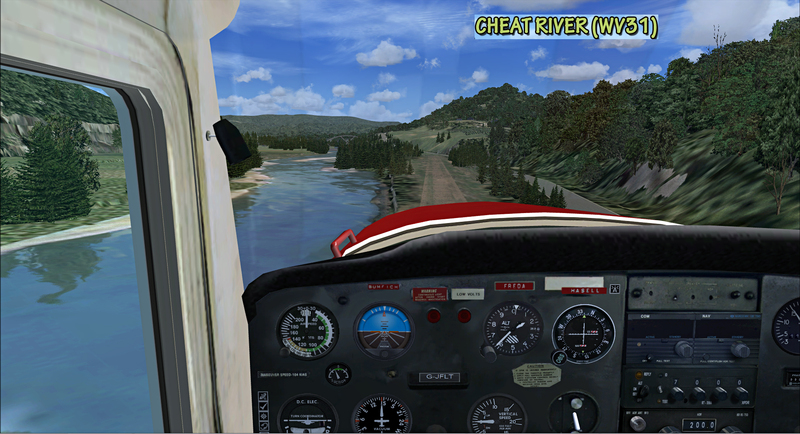 Not to mention hazardous fog at different phases of the day which can be fatally unforgiving during approach or whenever flying below established minimum standards in the Cheat River valley area. 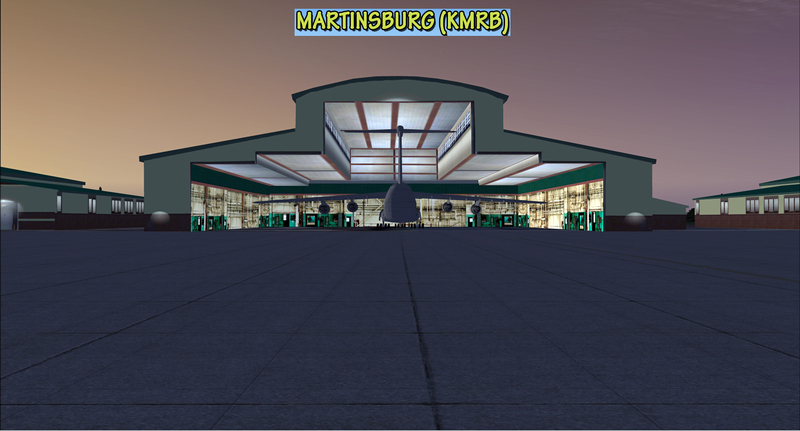 multitude of custom 3d objects (eye candies) pertinent and regional to each airport. 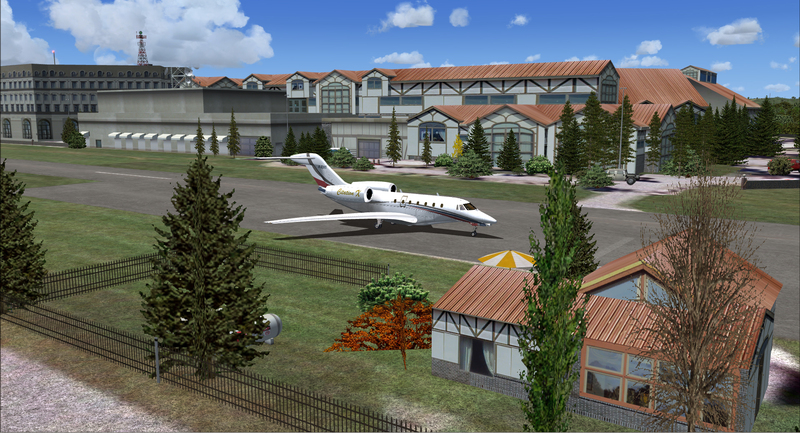 What you see in the sim is based on actual photographs from our on-site visits/photographs. 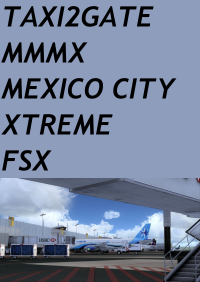 Adobe Acrobat® Reader 6 minimal to read and print manual. 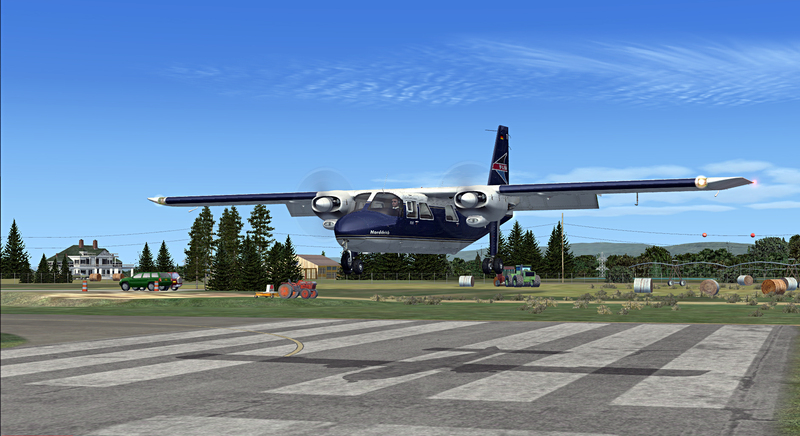 AVSIM Online - Flight Simulation\'s Number 1 Site! 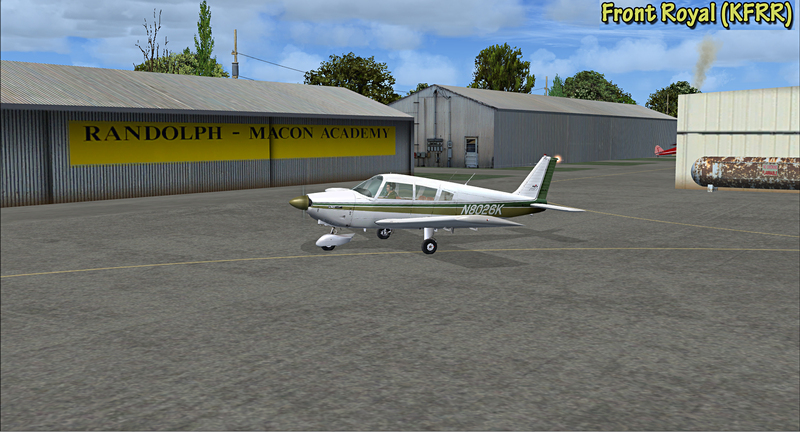 \"VFR Appalachia is an excellent value at $27.50 USD. 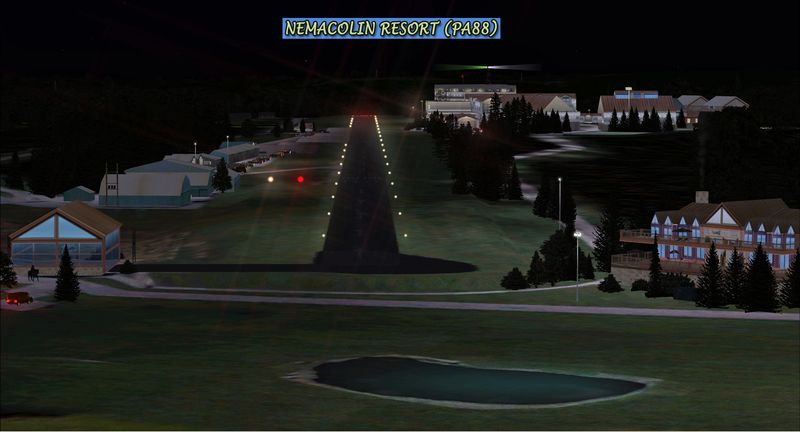 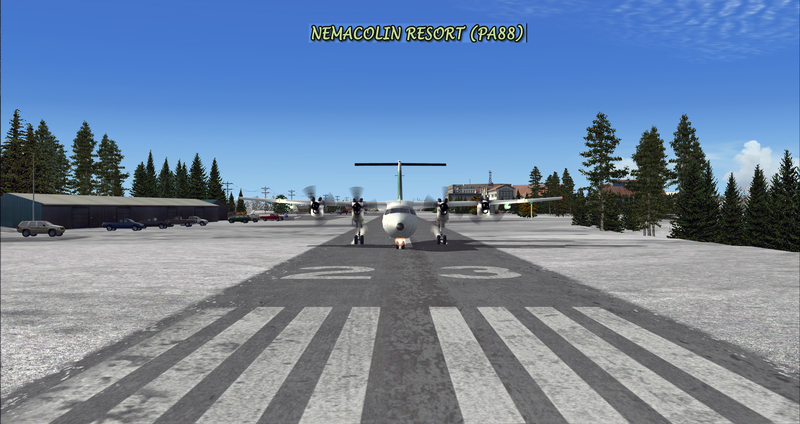 Eight highly detailed airports and surrounding areas are included. 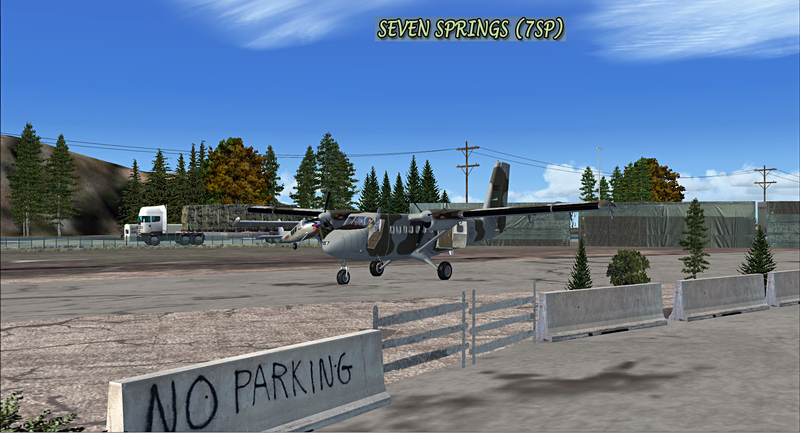 I consider this a must buy if you are a virtual pilot who lives is this area of the United States. 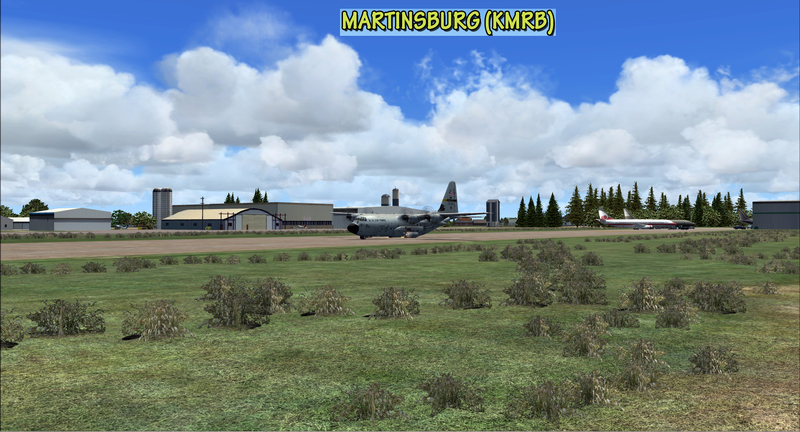 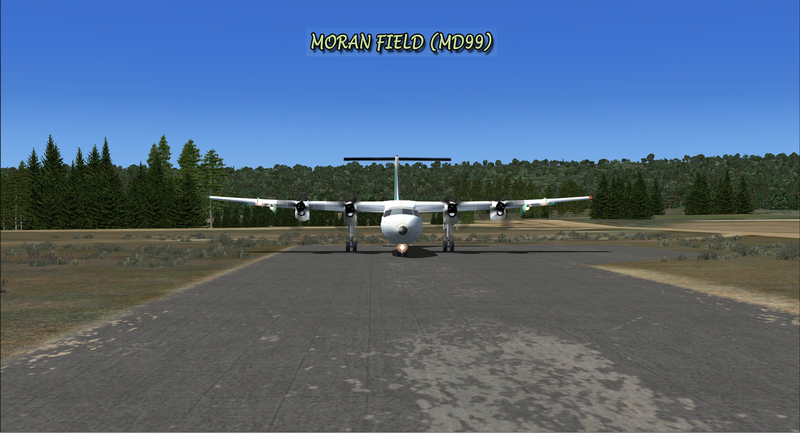 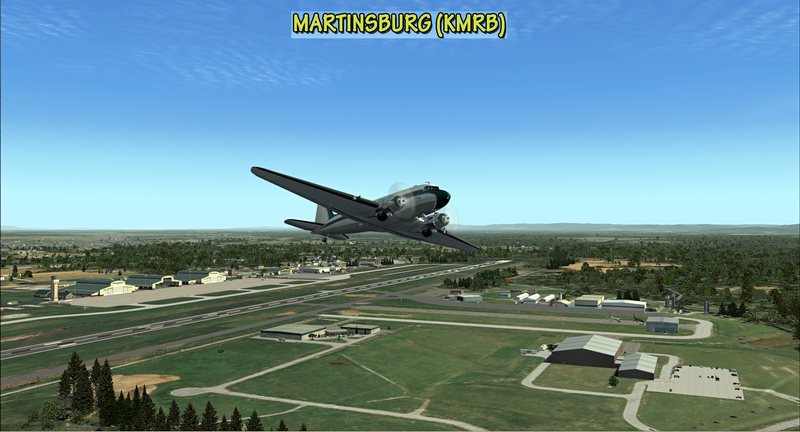 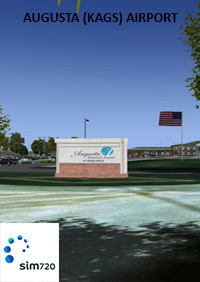 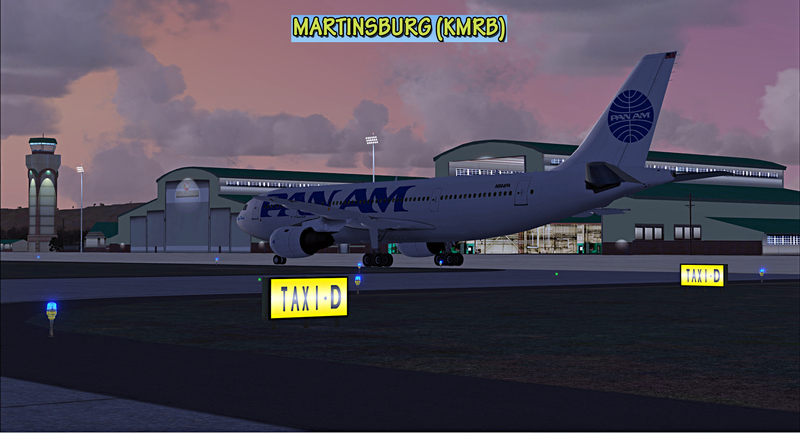 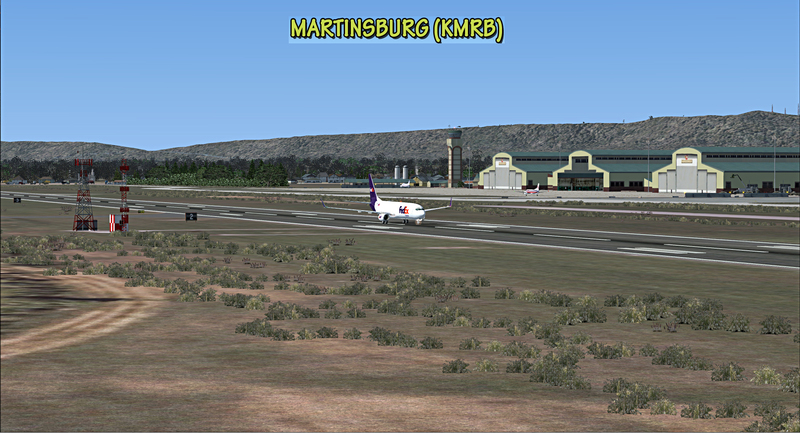 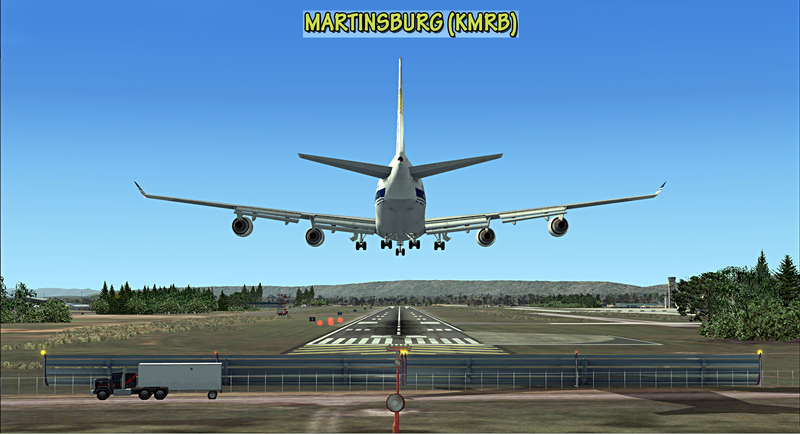 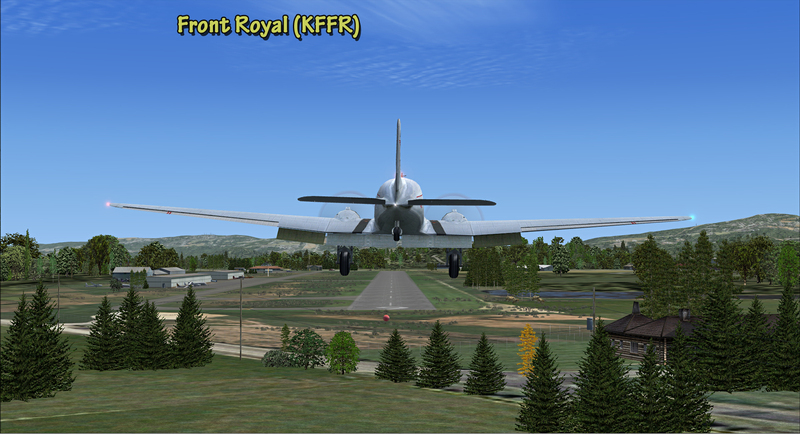 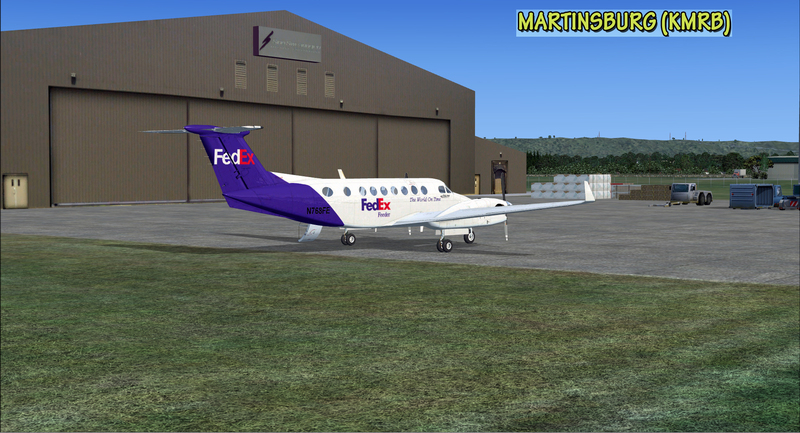 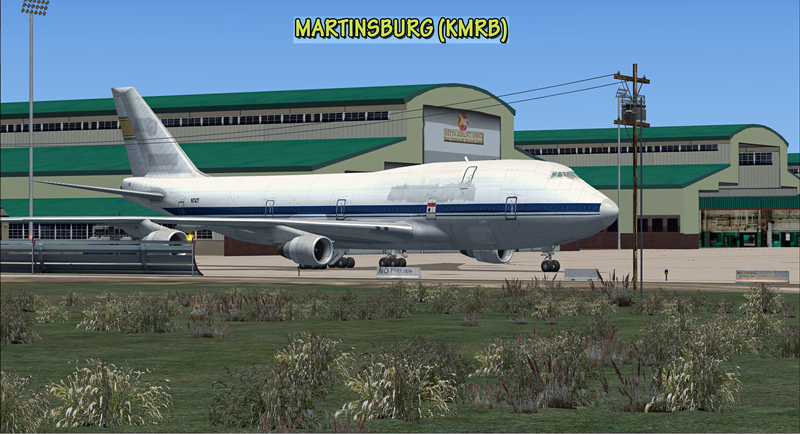 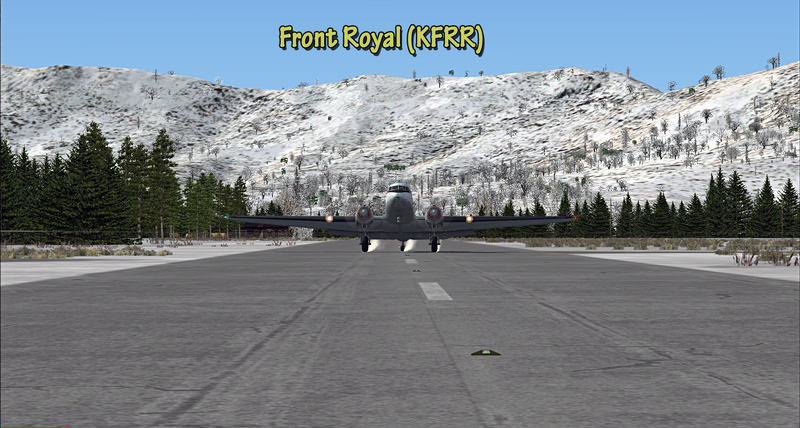 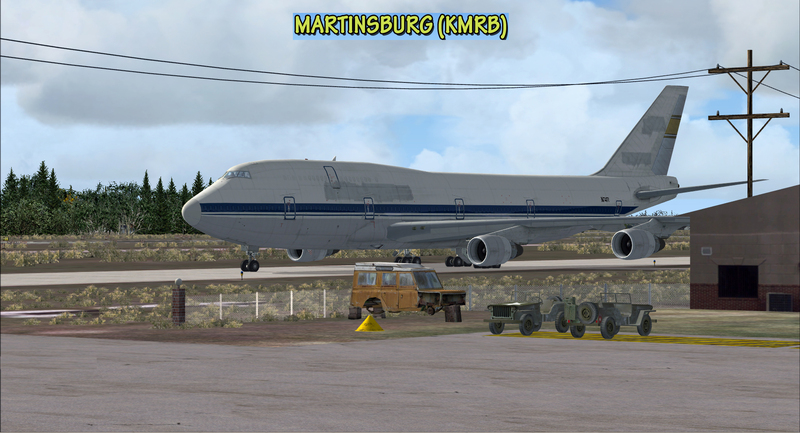 Even if you do not live near these airports, this scenery package offers something for all virtual aviators.rnrnIf you like to fly large or military aircraft, Martinsburg is a suitable airport for you. 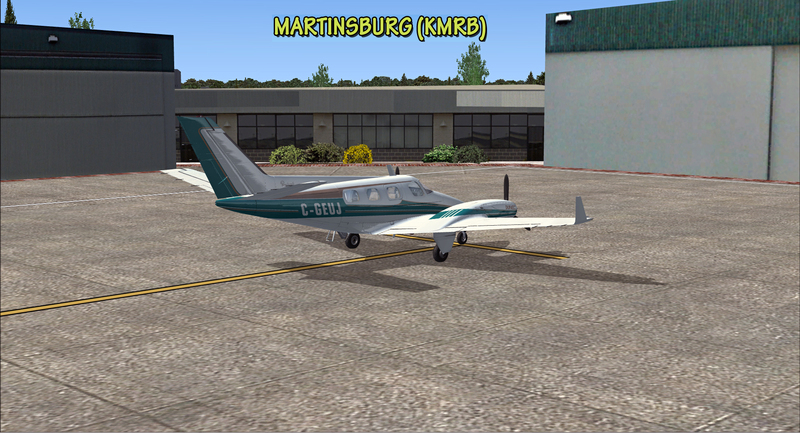 Small to medium sized general aviation aircraft should have no problems landing at all of the airports. 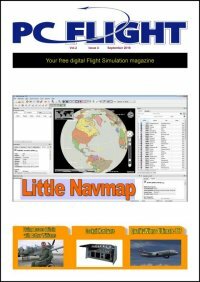 For this review I used the Carenado Piper Arrow, Just Flight Cessna 152, Military Visualizations Cessna 310R and the Real Air piston Duke. 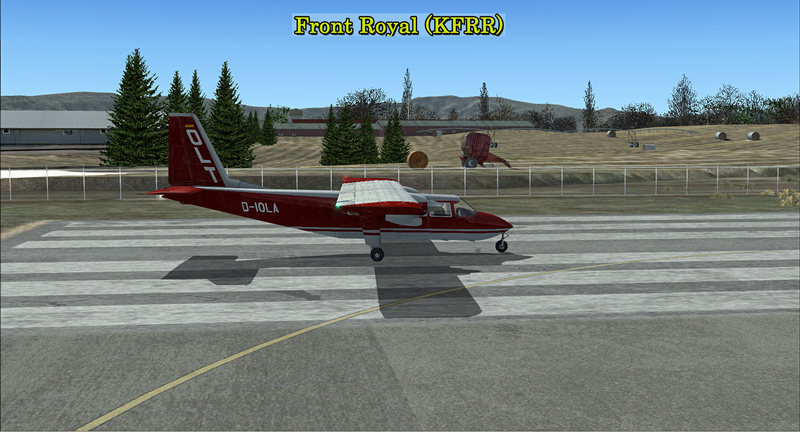 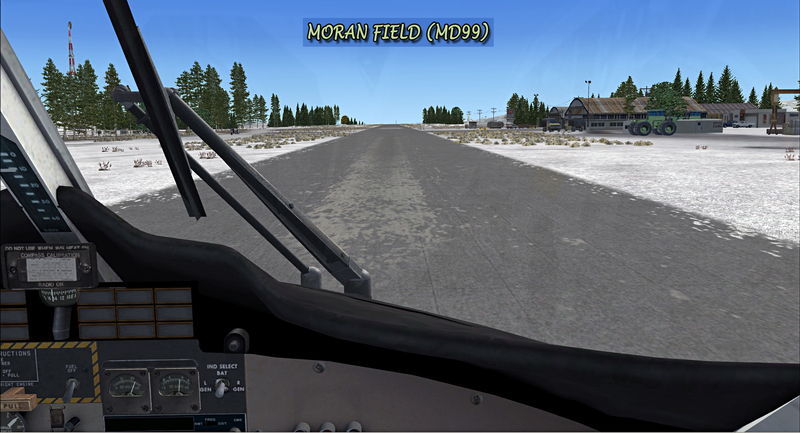 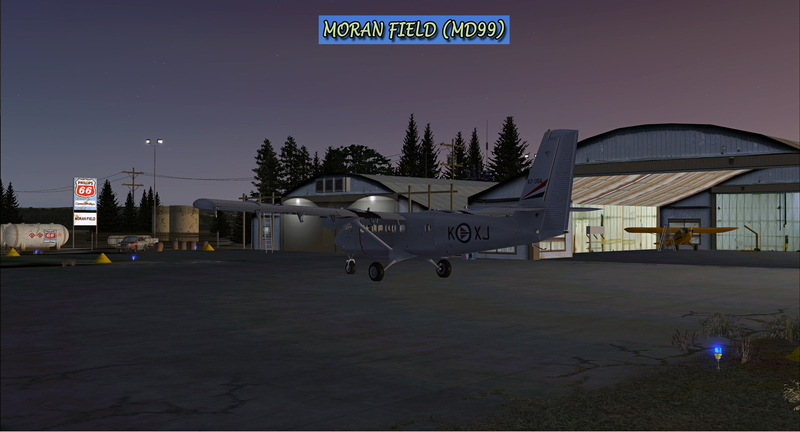 A couple of the airports have parked gliders indicating glider operations and helicopters should be able to land at most of the airports.rnrnAll ground object textures are great looking and the included sounds and animations all make for a very enjoyable experience. 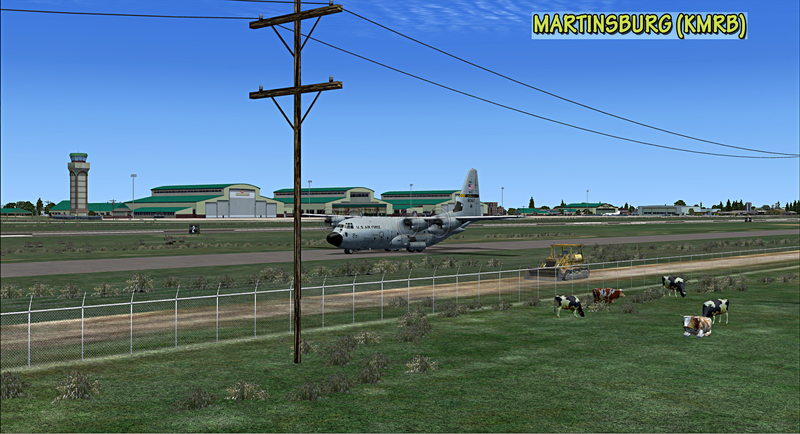 Some of the airports have challenging approaches which for me greatly adds to the realism level of the product.\"
In the past Pacific Island Simulations have given us some excellent scenery in the remote Pacific Ocean and now after producing the stunning Ingalls Field have now developed VFR Appalachia. 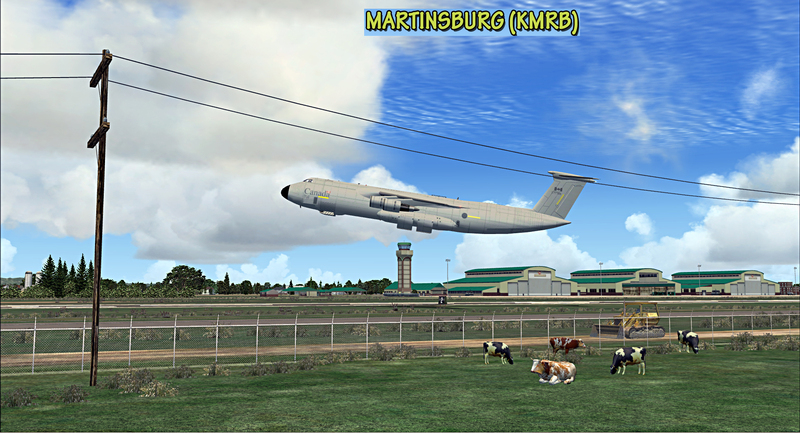 It covers most of what is called Appalachia in the USA, and includes 6 rural and remote airfields. 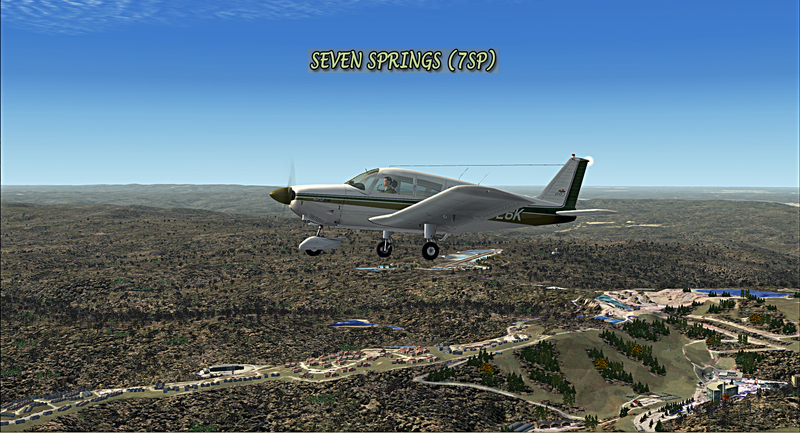 This is bush flying in mountain scenery at its best with rolling hills, mountains abundant trees, local vegetation, a plethora of custom objects, lots of background noise, static and animated animals and birds aplenty. 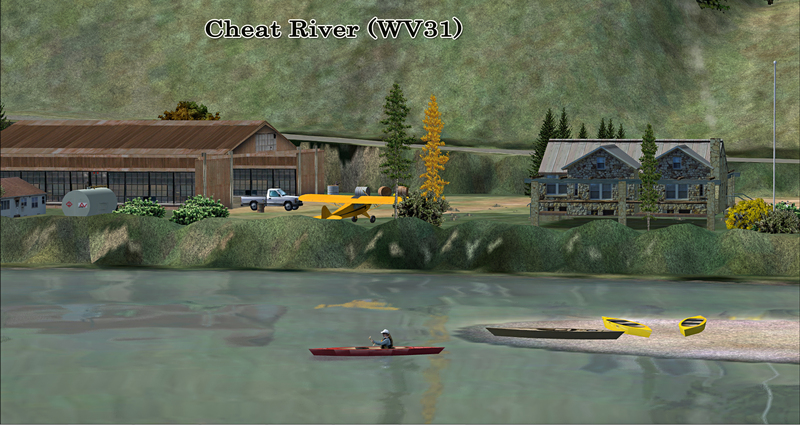 Appalachia is a very beautiful part of the States and it has been modelled to close to perfection in this PIS rendering. As I have written on previous occasions, every time you open this scenery you will discover something new. 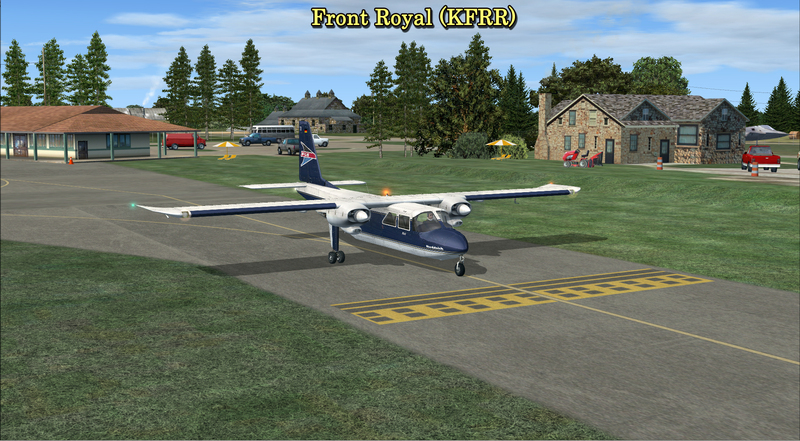 Fantastic work! 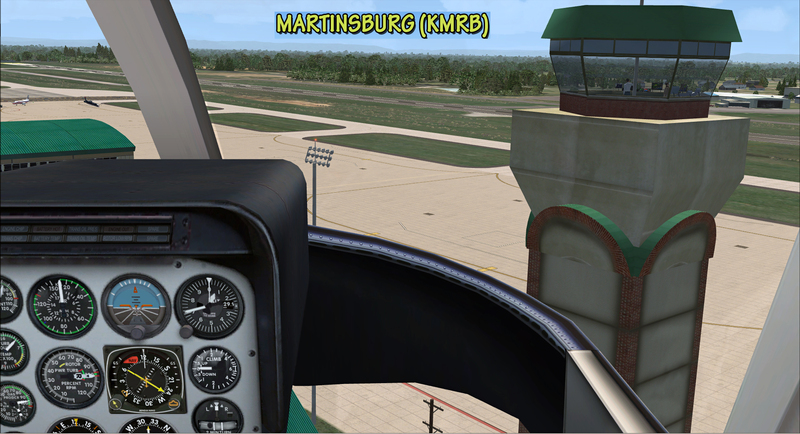 Downloaded from Simarket, installed and did a short hop from Toronto to KMRB in the MD11 – ILS 26 approach went well and really enjoyed the detail of the airport! 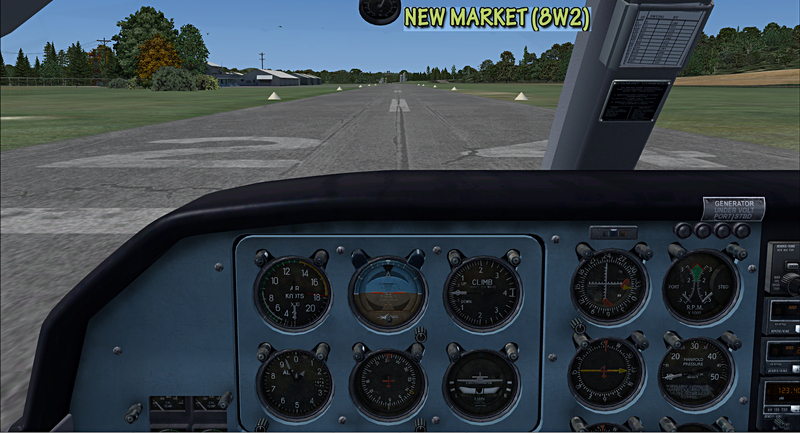 As with all PIS scenery – great frame rates with no noticeable impact even with a complex heavy. 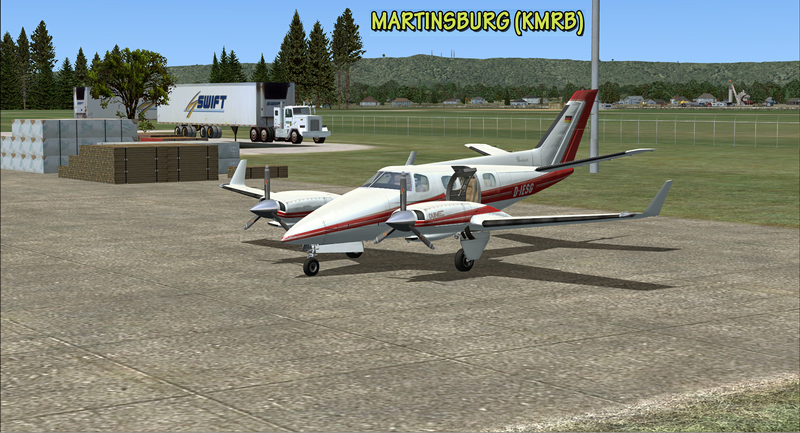 I then jumped into the Beechcraft Duke to start a VFR tour and made my way to 7SP. 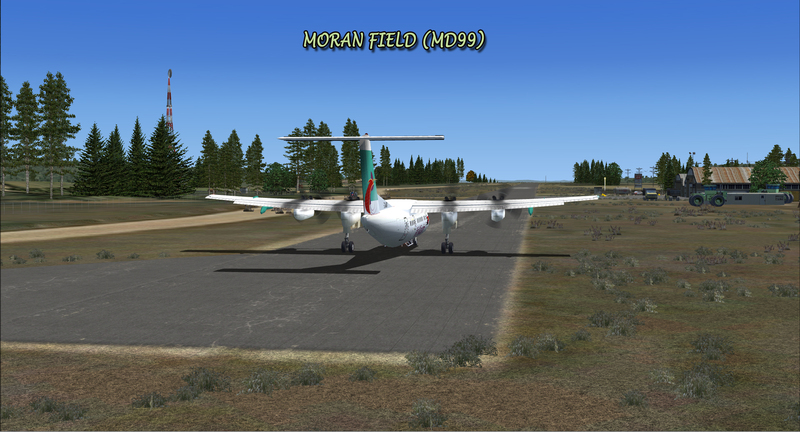 A very challenging strip, especially with a strong crosswind! 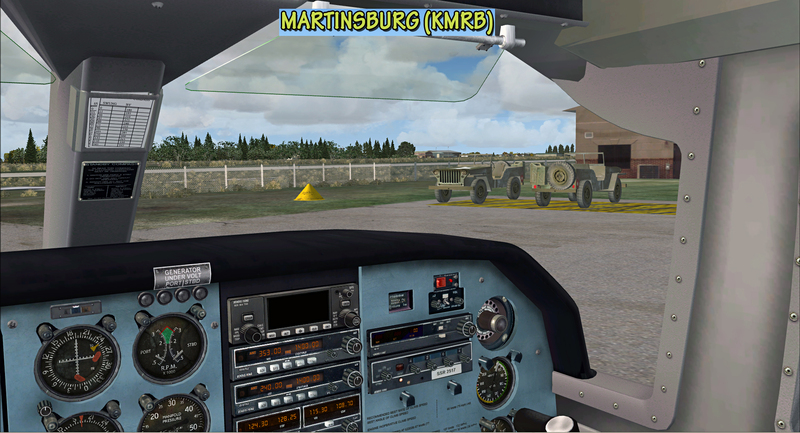 The custom objects and placement is incredible! 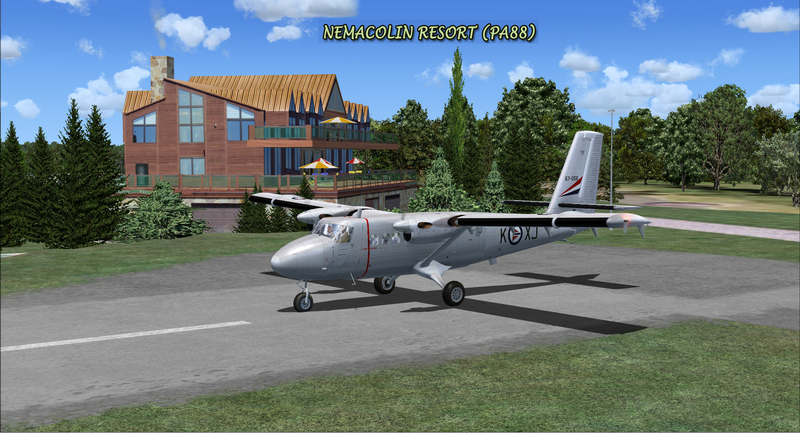 After a good look around the airport and a quick stop at the beautiful hotel with the large patio overlooking the small lake (must be nice in the summer! 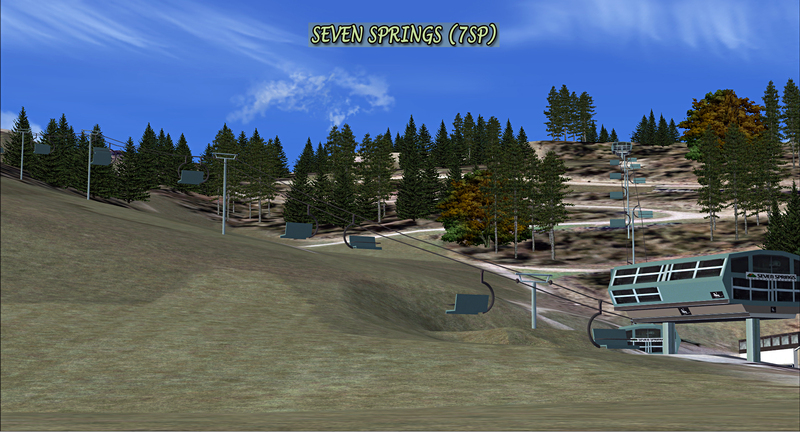 ), I found Seven Springs Mountain Resort Ski Hill and was amazed and the attention to detail with the Hotel and especially Chair lifts! 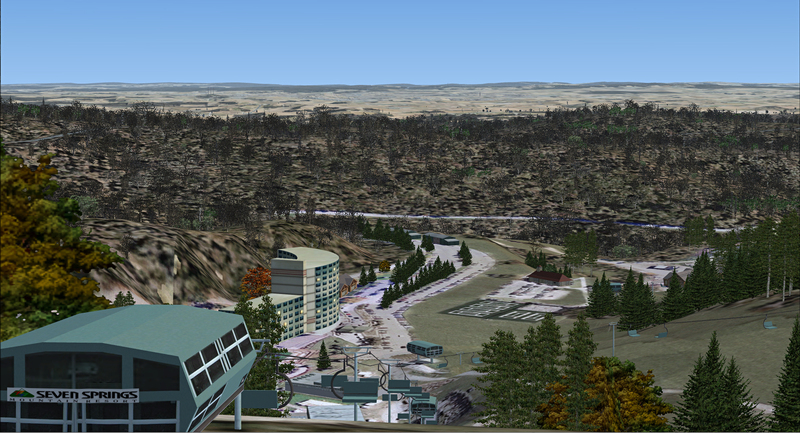 Have never been to the area, but googled the mountain resorts site for a comparative and was amazed at the accuracy! 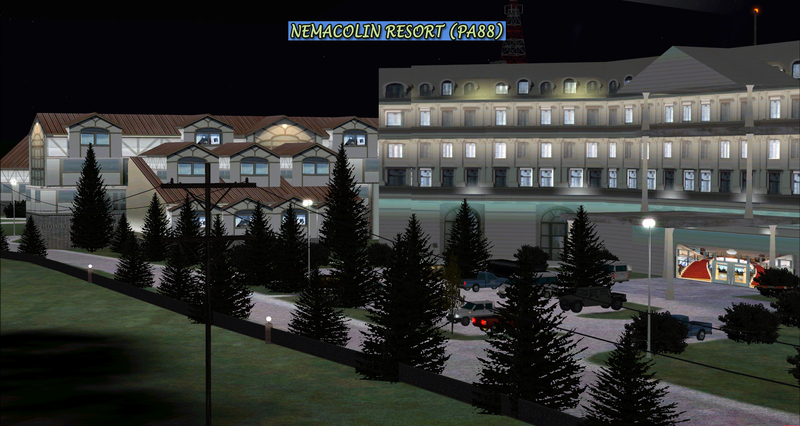 A few accurate and well detailed objects really brings the scenery to life. 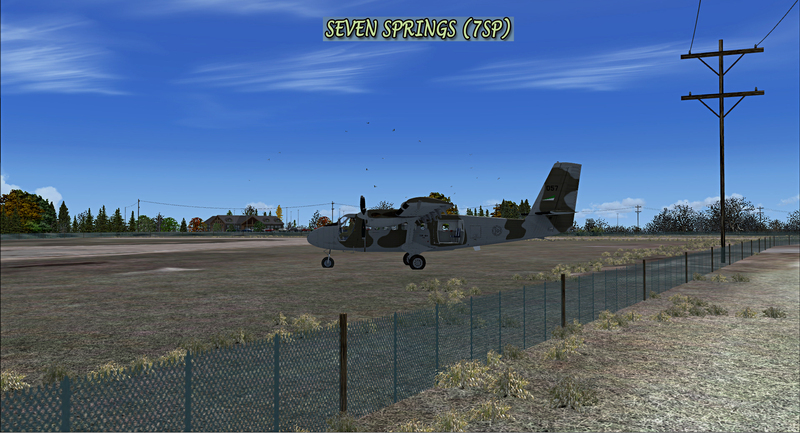 Have not yet made it any further that 7SP – I’m sure it will take a while to do the tour and take it all in – but well done!! 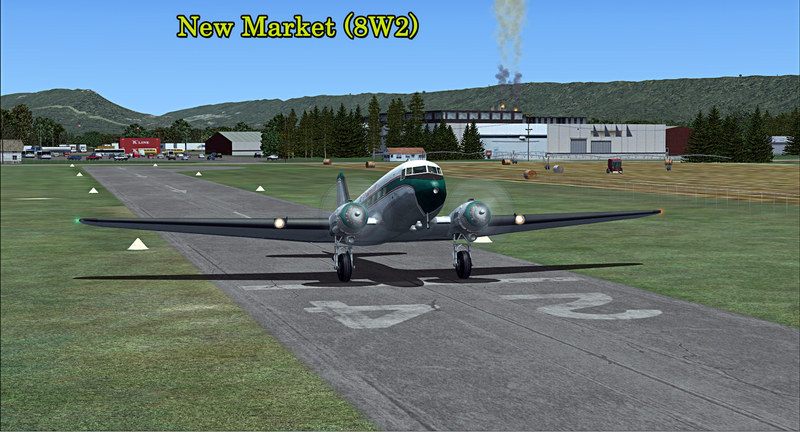 Looking forward to the Marshalls and a return to the Pacific. 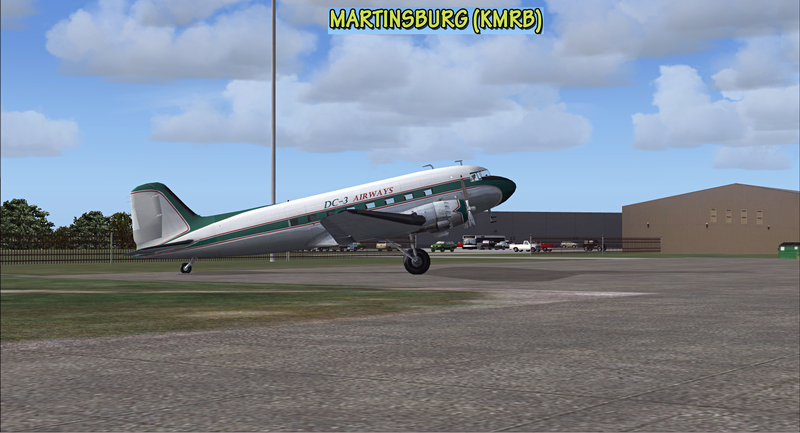 Would not have taken time to explore the Appalachian area if it was not for this release, tossing in Ingalls made the decision easy - that's a lot of airports and interesting objects/scenery for the price! 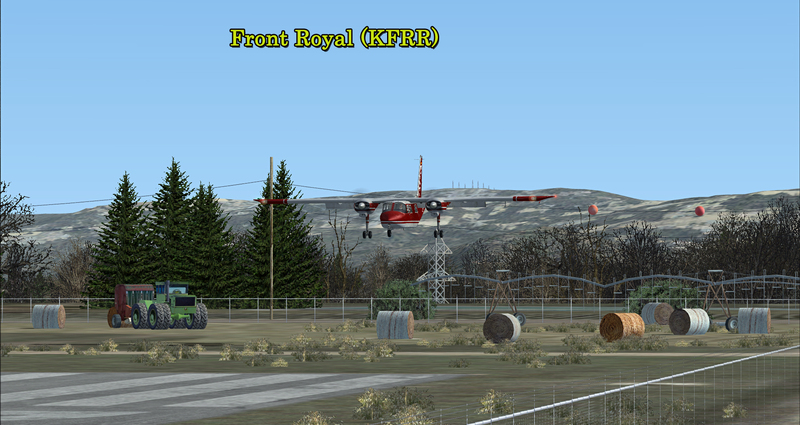 Previous owners of the Ingalls Field (KHSP) product currently selling at simmarket will pay EURO3.00 less, or EURO17.85 without VAT when purchasing VFR Appalachia. 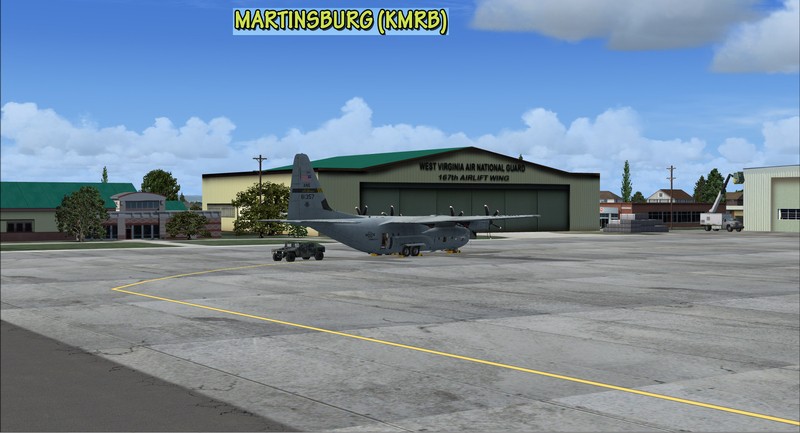 Once purchased VFR Appalachia, Ingalls Field owners MUST remove previous version since VFR Appalachia contain latest updated files. 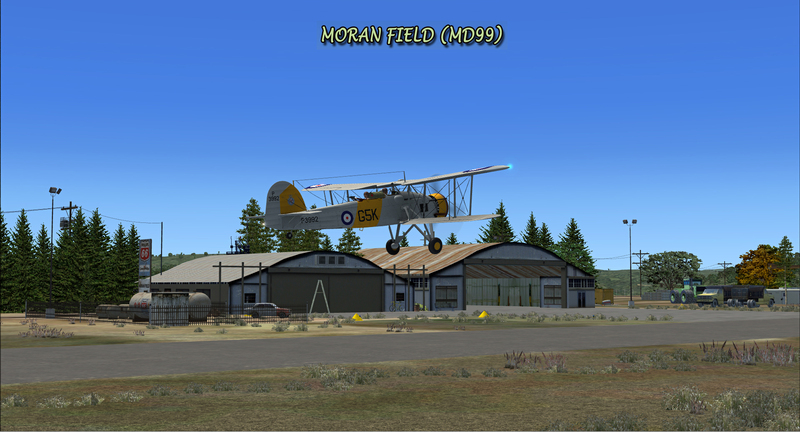 This incentive applies to previous owners ONLY, not new owners of Ingalls Field from this date forward.